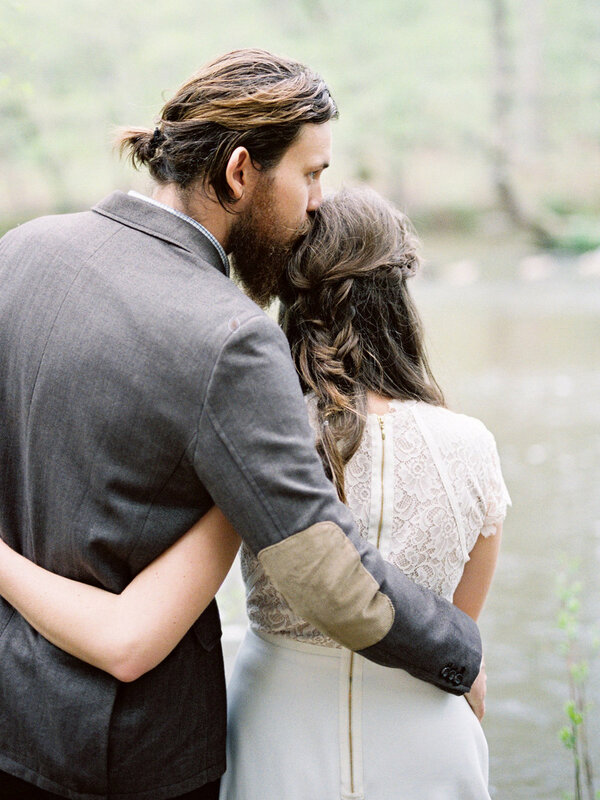 We love the heart and soul behind this shoot from LiveView Studios. 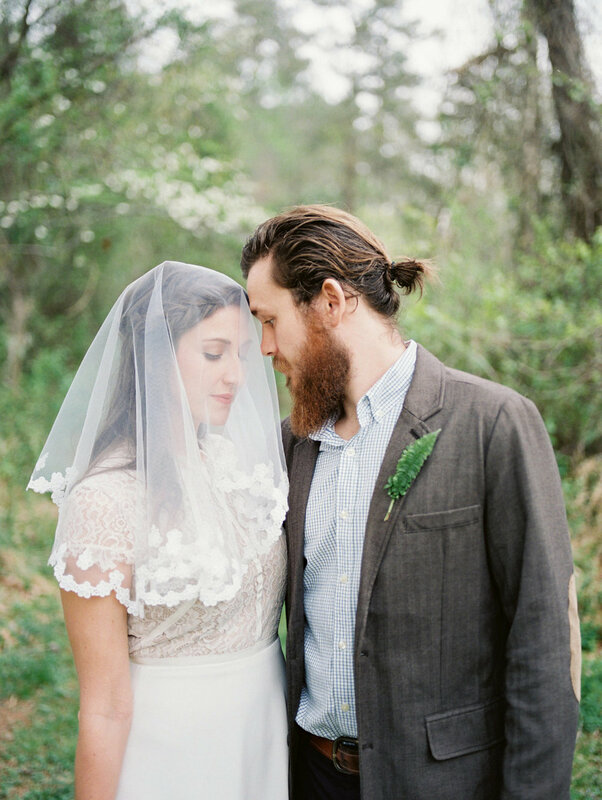 Elopements are always a favorite of ours, but we love their original and intentional inspiration. Read more below. "Where you go, I will go. Where you stay, I will stay. Your people will be my people.” These words from Ruth in the Bible were part of the inspiration for this intimate, woodland elopement shoot. We wanted to convey a sense of simplicity and tranquility - one where the attention was fully devoted to the couple and their relationship with each other. It was also to convey the beginning of an adventure together - one where both were fully committed to each other in their marriage relationship, in acts of self sacrifice. 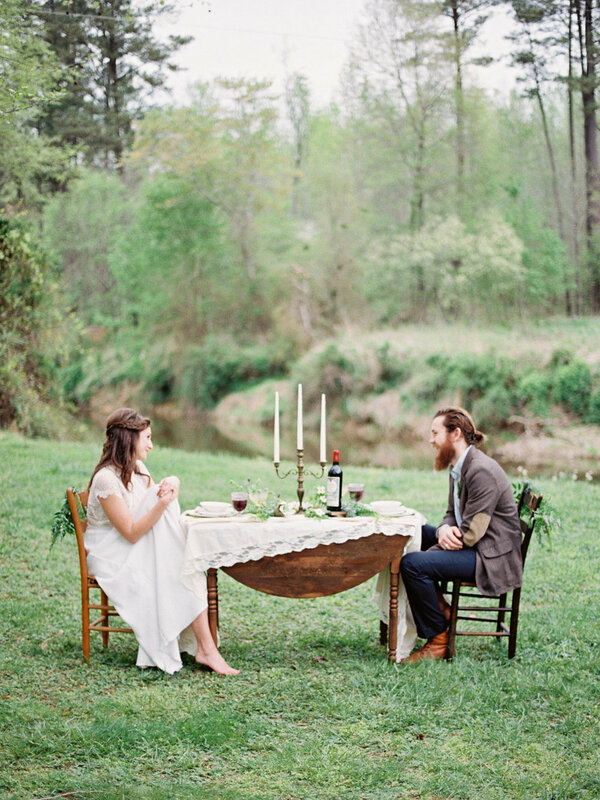 At a table for two, they sat along the waters edge celebrating what was going to be their new life together. Fresh figs, cheese, and meats created a portable yet elegant meal for the two of them. 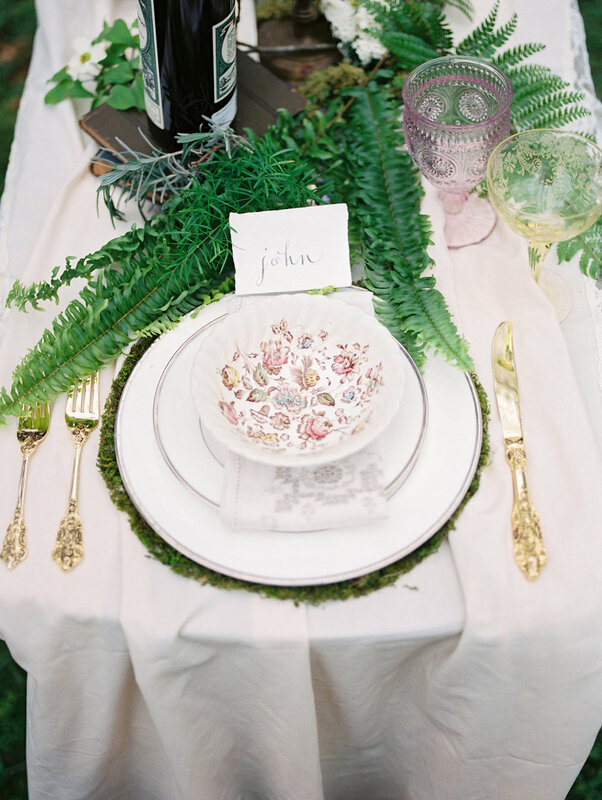 Ferns, moss, and woodland flowers filled the table with small and delicate details. 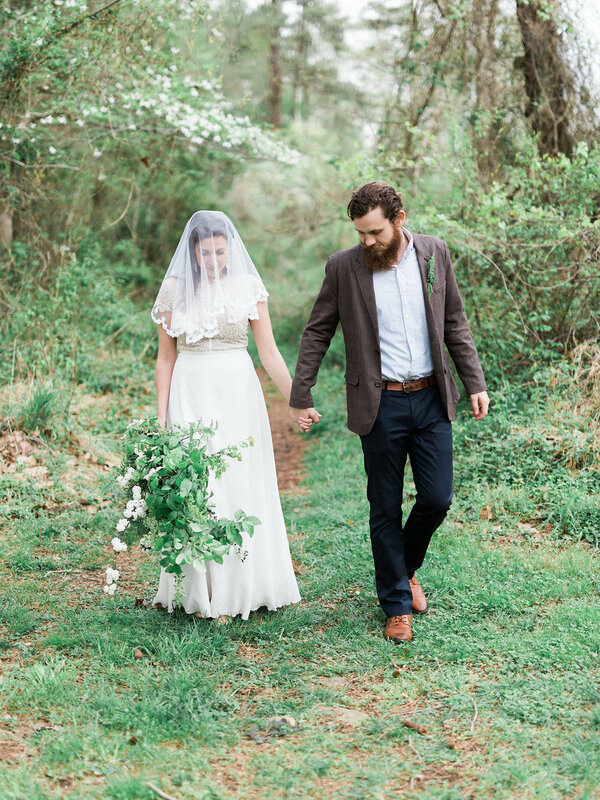 They read vows to each other that they wrote specifically for the occasion, and he led her through winding paths to the waters edge, where in their first act of commitment to each other he gently washed her feet with fragrant herbs. The foraged bouquet included apple branches and other items selected from the woods around them. At the end of their day, they kissed in the rushing water, and the greatest adventure of their life began.